The long-standing relationship between man and nature in Finland’s 40th national park stretches back thousands of years. The first thing that struck me about Hossa was the pure, unadulterated silence. 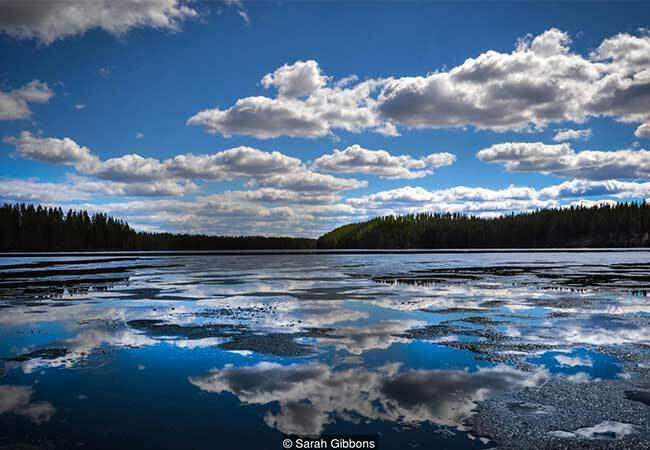 It’s almost as if time stands still here, with nothing so much as a breeze disturbing the pristine, mirror-like lakes and pine-wooded eskers that extend as far as the eye can see. This is undoubtedly the reward for those who drive into this wilderness off the main E63 highway 750km northeast of Helsinki. Even by Finnish standards, Hossa, situated close to the Russian border in the Kainuu region, is remote. You’re more likely to come across a reindeer than a fellow hiker along most of the 90km of marked trails through pine forest that make up one of the oldest hiking areas in Finland. 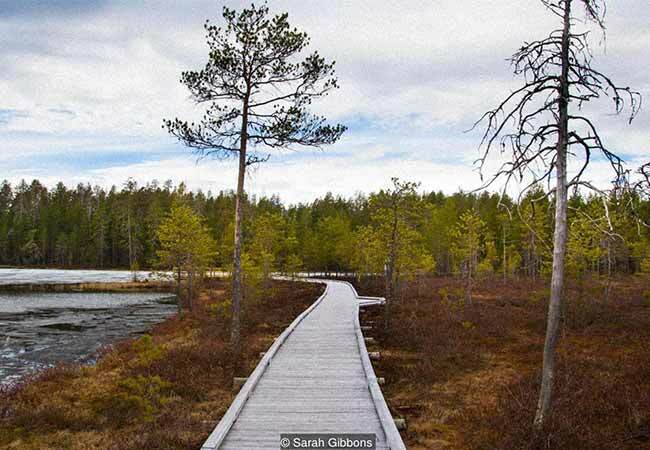 It’s this sense of escapism that will no doubt attract far more visitors to Hossa now that it has just been designated the country’s 40th national park to celebrate Finland’s centennial of independence. The long-standing relationship between man and nature in Hossa stretches back thousands of years. The first settlers arrived after the last ice age, following the wild reindeer that populated the north of Finland as the climate warmed. The Värikallio rock wall, which rises more than 10m perpendicular from Lake Somerjärvi, reveals evidence of early life here: Stone Age paintings on the rock’s face are estimated to be up to 4,500 years old, though they weren’t discovered until 1977 when skiers Leena Mäkelä and Juha Rossi noticed curious red ochre markings on the rock. It’s not surprising that the Värikallio paintings remained hidden for so long given that they can only be reached by boat or on foot (or ski) when the lake froze over in each winter. Today, the rock wall and its new viewing platform are accessible by kayak or a picturesque 4.5km footpath from the Lihapyörre parking area, a short drive from the Hossa Visitor Centre. 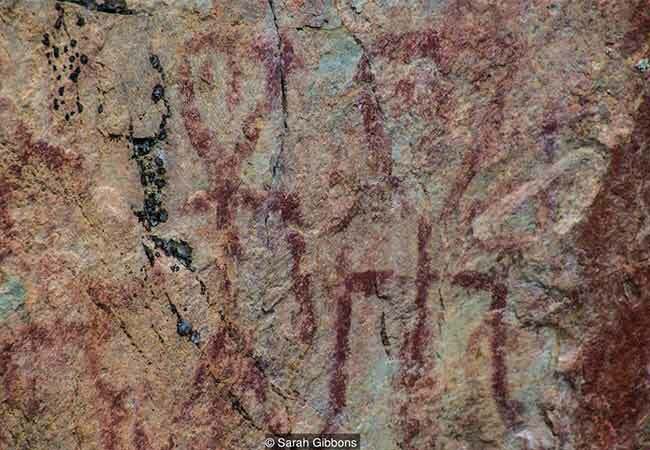 There’s still an air of mystery surrounding the exact age and meaning of the 60 painted figures on the rock’s face. The most conspicuous are four human shapes with triangular heads, a horned figure thought to depict a dancing shaman and approximately 30 detailed elk drawings. “There are three main theories to what they mean,” Saija Taivalmäki, who runs local wellbeing business JoogaTaival, told me. “The first is that they were painted ceremonially to ensure a successful hunting trip. Secondly, they have been viewed as an indication of spirit animals and totemism, the belief that humans have a mystical kinship with a spirit." Finally, “Some see it as revealing their worldview at the time: the place where the different worlds of universe ‒ land inhabited by human beings and underworld ‒ unite,” Taivalmäki explained. Thousands of years later, locals still maintain a strong relationship to the land, hunting, fishing and foraging like their predecessors. Others feel a more spiritual connection to Hossa’s wilderness, like Taivalmäki, whose mother was from here, and who returned after 11 years in Helsinki. Now she wants to help others find harmony with mind, body and nature with forest yoga and environmental education. Walking back along the trail from the Värikallio rock wall to the Lihapyörre parking area, Taivalmäki stopped to show me the beard moss that hangs from the pine branches. “This is a sign of the pure air here,” she explained, noting that a stroll through the forest is effective for stress relief thanks to the health benefits of breathing in the pine aromas. It’s not just the forest hiking trails that draw people to Hossa – the clear lakes are a kayaker’s dream, and nowhere more than Julma-Ölkky, Finland’s largest canyon lake. Unfortunately, as the water was still covered by a patchy lacework of ice during my visit in early June, I took the 10km Ölökyn ähkäsy trail that loops around the lake. Winding through wild meadows and dense pine forest that clung to the steep inclines of the canyon, the last patches of snow still gleaming in the sun, I embraced the solitude. At times the silence was deafening and my mind wandered. I began wondering what I would do if I happened across a bear – there’s a thriving population in this part of Finland. By the end of my week-long visit, most of the ice on the region’s lakes had melted and I could properly explore the waters at twilight when they glowed a golden orange thanks to the midnight sun keeping the skies bright all night long. I headed to the lakeside camping site of Hossan Lumo and met the owners: Irishman Lenny Daly and his Finnish wife Maija Daly. They bought the campsite on the shores of Lake Hossa in 2015 and plan to transform it into a central hub of the Hossa community with more lakeside cottages, kayaking, a revamped sauna and bar (with Guinness on tap, of course). The couple are already well known in the area: Maija is the chairperson of the local entrepreneur society, and they make up half of Hossa’s four permanent residents under the age of 50 – though there are only 40 residents in total, Lenny told me. Living here is not without its difficulties, though, especially in the depths of winter. “It’s survival,” Lenny laughed. 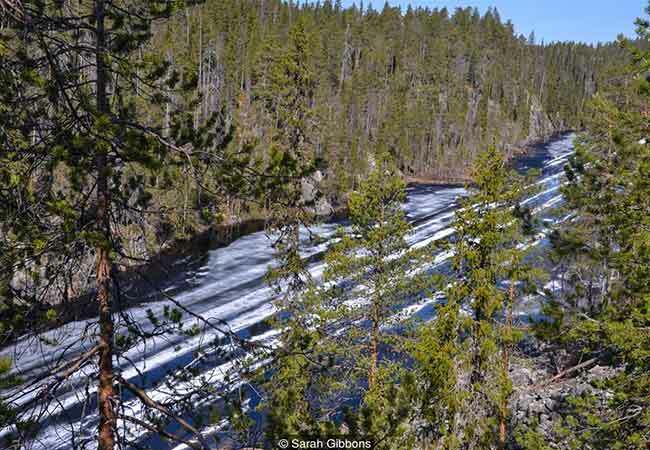 That’s no exaggeration, with the nearest town of Kuusamo an hour’s drive away. It’s clear that you need to know what to do when things go wrong. “And cook for yourself when you feel like a curry,” Maija added, noting the lack of restaurants; something she clearly misses. My trip ends in the most magic way possible: Teija Mäkinen, who runs paddle boarding business Lazy Dog SUP, took Lenny, Maija and I out on Lake Hossa – as smooth and dark as tempered chocolate – to enjoy the endless sun, now casting a perfect reflection of silhouetted trees on the water. A cuckoo’s call echoed across the surrounding pine forest, and then all was still again.